Johnson Animal Clinic is proud to serve the Louisville KY area for everything companion animal related. Our veterinary clinic and animal hospital is owned and operated by Dr. Jerry Bode, who is a licensed, experienced Louisville veterinarian. 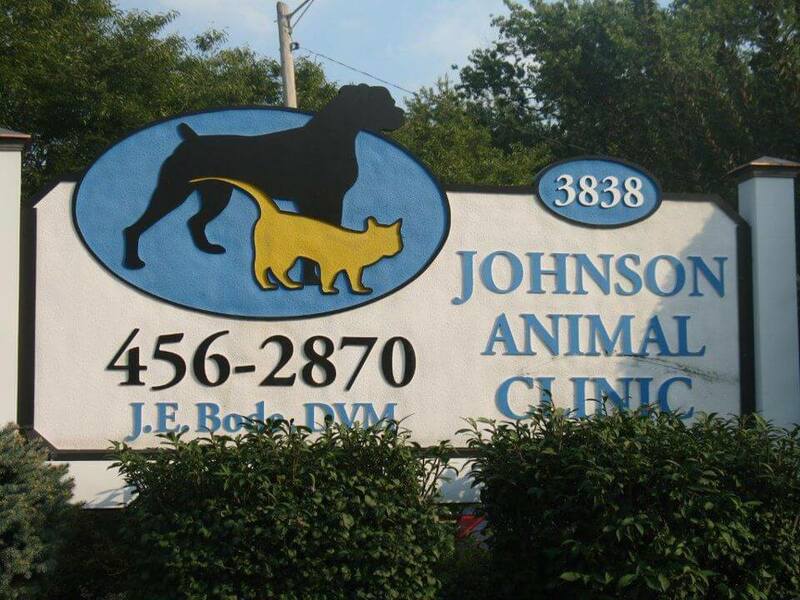 Johnson Animal Clinic was originally owned by the late Dr. Johnson and opened in the 1970's. Our passion for animals drives us each day to provide the best medical care to all of our patients. We have been in the Hikes Point community for decades, and take pride in servicing our neighbors and friends! We are a small but growing veterinary practice, and understand client and patient needs come first. Our goal is to exceed your expectations and keep your pets as healthy as possible while also accommodating your requests as well. Our team is committed to educating our clients in how to keep your pets healthy year round, with good nutrition, exercise, and preventatives. Johnson Animal Clinic stays on top of the latest advances in veterinarian technology and above all, remembers that all animals and pets need to be treated with loving care in every check-up, procedure, or surgery.